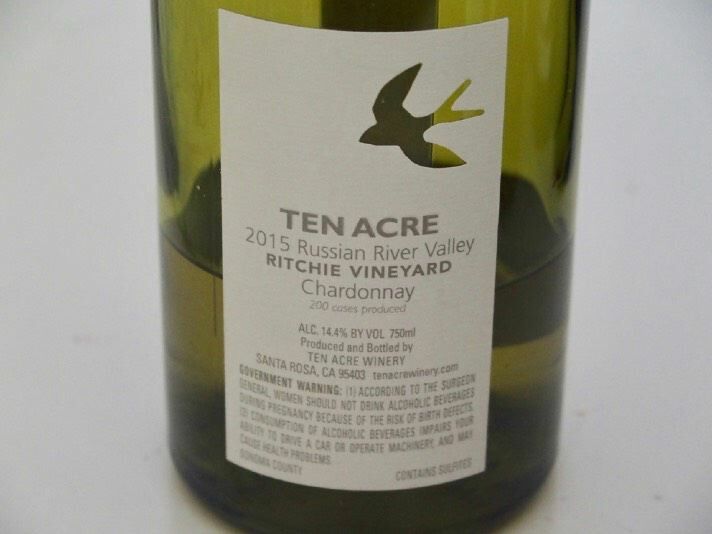 The 2015 Ten Acre Winery Ritchie Vineyard Russian River Valley Chardonnay is a glorious wine that hits all the right notes for this varietal. It is such a special wine that it deserves a dedicated feature in this issue. Chardonnay is a polarizing wine that is beloved by a large number of wine consumers who shout, “ChardonnYAY!, yet decried by a smaller number of other wine drinkers who proclaim, “Anything but Chardonnay.” Chardonnay can be poles apart stylistically from examples that are opulent, tropical, buttery and oaky to more lean versions that are fermented in stainless, undergo no malolactic fermentation, and are acid-driven. Arguments inevitably ensue about what style is best. Chardonnay is a varietal that is highly amendable to the winemaker’s hand. There is a myriad of decisions to be made beginning in the vineyard and ending almost twelve months later at bottling. 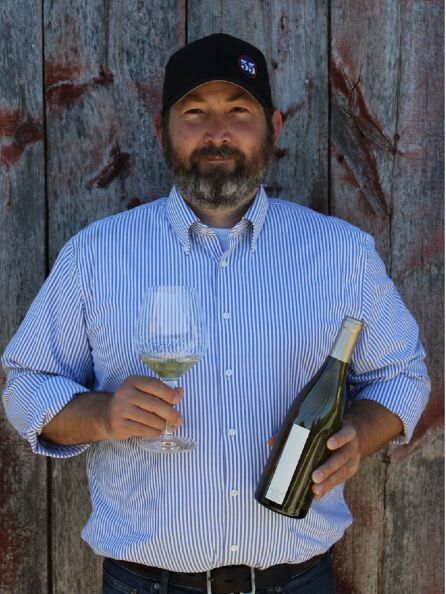 After tasting and reviewing the 2015 Ten Acre Winery Ritchie Vineyard Chardonnay, I asked winemaker Michael Zardo to describe in some detail exactly how he crafted that wine. Michael Zardo (his friends simply call him “Zardo”) has a degree in enology from Fresno State University. Before joining Ten Acre, he spent seven years as an assistant winemaker at Pisoni Vineyards & Winery. Prior to that, he worked at Bernardus Winery and spent two winemaking seasons in New Zealand. One thing that makes Chardonnay so fascinating is how versatile it is in terms of how a winemaker is able to shape it. It can be big and opulent, or austere, focused and nervy, depending on how heavy or light a hand the winemaker applies. The majority of Chardonnay that I make tends to fall between these two extremes. When it comes to working with a Grand Cru-caliber vineyard like Ritchie (or any other great vineyard), my goal is to let the site express its personality. At the same time, I love a beautifully textured Chardonnay - I want people to feel the shape and presence of the wine in their mouth. I also believe a great Chardonnay should have excellent acidity, with layers and layers of complexity. With nearly twenty vintages under my belt, the wines that excite me the most are the ones that come from unique vineyards that have an authentic and distinctive personality. When I look for a great Chardonnay vineyard, there are a few things that I always take into consideration. These things include soil, rootstock, clonal selections trellis systems, water, climate, vine age, and of course the vineyard manager or farmer. 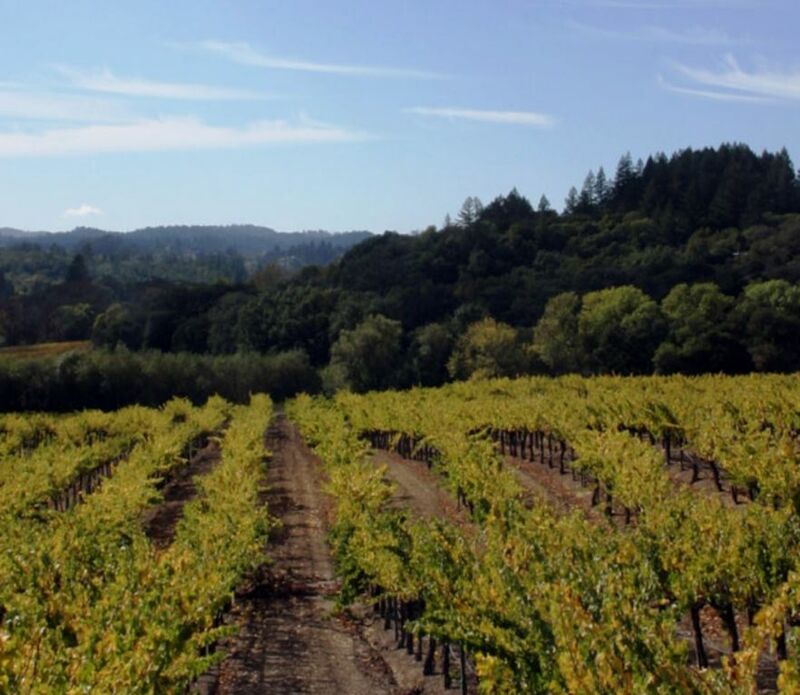 Ritchie Vineyard is located in the center of the Russian River Valley AVA and is one of those truly rare sites where everything has come together to produce a world-class Chardonnay vineyard. When I first started to make wine for Ten Acre in 2010, the owners of the winery, Scott and Lynn Adams, asked me if there were any vineyards I really wanted to work with. I immediately said that I would love to work with the Chardonnay from Ritchie Vineyard. They told me to start calling, so I did. In fact, it took two years of calling (sorry Kent Ritchie!) before we finally were given a block of Ritchie Chardonnay in 2012. Our first block was comprised of relatively younger vines that had been planted in 2004. While the clonal material was the same as Ritchie’s rightfully sought-after 1972 Wente clone plantings, the younger vines are on the newer 101-14 rootstock, while the original vines at Ritchie are on AXR. In 2014, we were thrilled when we were also given access to some fruit from the 1972 plantings. Our 2015 Ritchie Vineyard Chardonnay is made from approximately 60% of the 1972 Wente clone grapes, with the remainder being the 2004 plantings. The old vine grapes add lovely richness and viscosity to the mouthfeel, along with more tropical elements of mango, peach and pineapple, while the more youthful vines provide great natural acid, minerality, and very pure citrus notes. I love how these two different blocks work together. In fact, when we were given the opportunity to take all of our fruit from the old vines, we decided to keep working with both sections as we believe this adds to the unique character and complexity of the wine. There are many ways to make good Chardonnay, but it all starts in the vineyard. Working with Kent Ritchie and his team, this begins in the offseason, with shoot and canopy management. This includes training the shoots upward and separating the clusters. 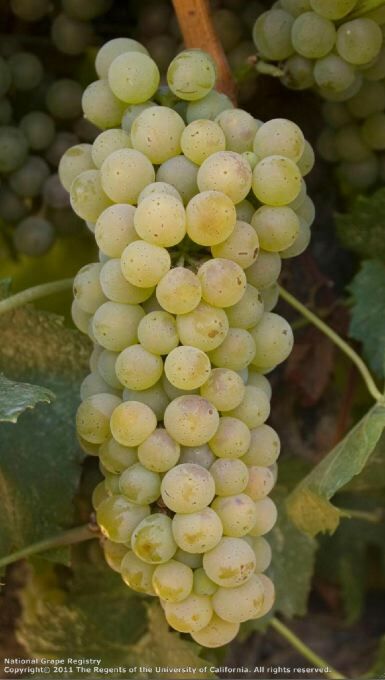 We also drop fruit to about two clusters per shoot and remove the laterals to create airflow around the clusters, helping to prevent botrytis and mold. Choosing when to harvest the grapes is one of the most important decisions I make as a winemaker, and it can have a huge impact in determining the style of the resulting Chardonnay. Make a balanced wine is essential, and to achieve this balance, the grapes need to be picked at optimal phenolic ripeness. Brix, pH and TA are all equally important when deciding when to pick. If we pick too early, the wine can be austere. If we pick too late, the wine can become flabby and heavy on the palate. In both instances, the wine loses the personality of the vineyard. I want the grapes to be phenolic-ally mature, so I look for frowning of the seeds and how the pulp separates from the skin and seeds. It is a very sensory decision, both tactile and taste driven. I must also keep a very careful eye on the weather to make sure the grapes don’t metabolize too much acid and accumulate too much sugar. My ideal harvesting numbers are generally from 23.5º-25.0º Brix, 3.15-3.30 pH (at harvest - this goes up in the finished wine), and a TA between 7.5 and 9.0. Of course, there is room to shift up and down based on how the grapes taste, which was true in 2015 when we picked at 25.3º Brix because the grapes tasted so good! I usually start planning to harvest about five days out, and I sample the grapes regularly during this period since Brix can increase a full degree in a day, depending on what Mother Nature has in mind. I harvest at night so the grapes come into the winery cold. Night harvesting really helps with microbial stability and mitigates any unwanted daytime dehydration of the grapes. Once the grapes are in the winery, we hand sort the clusters meticulously. We have a great team, and I tell them if you wouldn’t want to eat the grapes from a cluster, then throw the cluster out. Once sorted, we whole cluster press the grapes using as minimal rotations of the bladder press as possible, which preserves the integrity of the juice. I am constantly tasting the juice as it comes out of the press to make the press cut. When the pH starts to rise, I am right there and ready. I stop the press cycle and separate the hard press, with only free-run juice used in the wine. This eliminates any chance of astringency in the finished wine. I then add SO2 mix to the tank with N2 and cold settle the juice for 24 hours. This allows the heavy lees to settle while leaving some solids to contribute to the final mouthfeel of the wine. Once the juice has settled, the juice is barreled down to its home for the next 11 months. The 2015 Ritchie Vineyard Chardonnay was 100% barrel fermented, and like all of our Ten Acre Chardonnays, the initial fermentation was done with native yeast. I find this gives the wine a more complex mouthfeel (again, texture is so important to me). The Chardonnay only sees SO2 once in tank before barreling down. After that, the wine is protected by the CO2 that we naturally created during fermentation. Once the native yeast starts fermentation, I begin stirring the wine in the barrels every day. This helps keep the yeast in suspension, which, in turn, builds mouthfeel. As the fermentation slows down, I reduce the stirring to once a week. I do inoculate for the secondary malolactic fermentation because of how delicate the wine is at this stage. Essentially, any microbe that could metabolize malic acid could take over at this point. I continue weekly lees stirring until the secondary fermentation is complete. Once all the malic acid is gone, I wait a couple of weeks to add SO2. I wait in order to eliminate the chance if any diacetyl in the wine profile, while letting the vineyard’s abundant fruit to come back to the forefront. When choosing barrels for our Chardonnays, I like to use a variety of coopers, toast levels and forests. Each barrel I selected was chosen to accentuate different aspects of the Ritchie Chardonnay, with the goal of creating a very complex and layered wine. You often hear that barrels are a winemaker’s spice rack, and I am not someone who would want to season my food with just pepper. For this wine we used DAMY, Francois Frères, Louis Latour, and Taransaud French oak barrels. In broad strokes, the DAMY barrels have an amazing quality where heavy toast accentuates the plush, velvety textural characteristics that I prefer. The medium toast Francois Frères barrels provide some nice spice. The Louis Latour barrels, which have a “house toast,” impart a subtle coconut oil character that I really enjoy when it is a subtle part of the blend. The “Pure T” Taransaud barrels brighten the acidity, while also accentuating textural elements. Overall, 40% of the Ritchie Vineyard Chardonnay was aged in new French oak barrels. Generally, I find the sweet spot for new oak to be between 30% and 40%. While the remaining barrels were most one-year-old, they were steamed twice, and essentially acted like neutral barrels. The result was to limit the overall oak imprint, and allow the more delicate vineyard notes shine through. I am very judicious with new oak for I believe it needs to be in harmony with every other element of the wine, without masking any of the vineyard’s personality. In order to craft a wine that I believe most profoundly expresses the unique attributes of Ritchie Vineyard, I made the wine as a selection of our very favorite barrels. The 210 cases produced represented just under 40% of the total wine made from the vineyard in 2015. The evaluation process happened over many months, and was a process that was done in collaboration with the winery’s owners who are very hands on. We first start tasting in January, and by April we are beginning to select our favorite barrels. In June and July, we begin playing with the different components and start refining our overall vision for the blend. Across the board, the quality from Ritchie Vineyard was exceptional in 2015, so we had a lot of great wine to work with. By the end of July, Lynn, Scott and I had decided on the final blend. We bottled the wine in mid-August after 11 months in barrel, and the wine was bottled without fining or filtration to avoid stripping away the more nuanced qualities of the wine. The result is a wine that drinks beautifully upon release, but one that will evolve over time with age. It is the kind of wine that made me fall in love with Ritchie Vineyard in the first place. “Aromas of tropical fruit, warm hay, honeysuckle, lemon zest and shortbread rise from the glass. On the palate, the flavors are lush and juicy, with layers of fresh apricot, peach and lemon, all underscored by a refreshing brightness that leaves you wanting more. Enjoy this wine now through 2024.